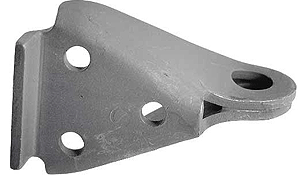 Tailgate Chain Bracket in stamped Steel for the 1938-50 American Ford pickup. These brackets are riveted to the pickup bed sides. Sold each.